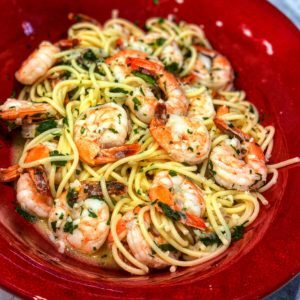 I’m taking it back old school with this recipe for Shrimp Scampi. 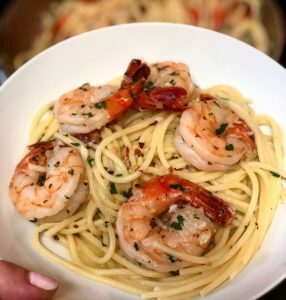 Serve with or without pasta…you decide. 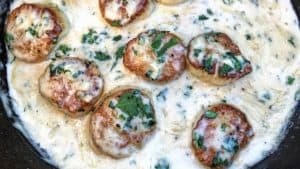 I love recipes that are quick and easy and can feed a lot of people for very little money. 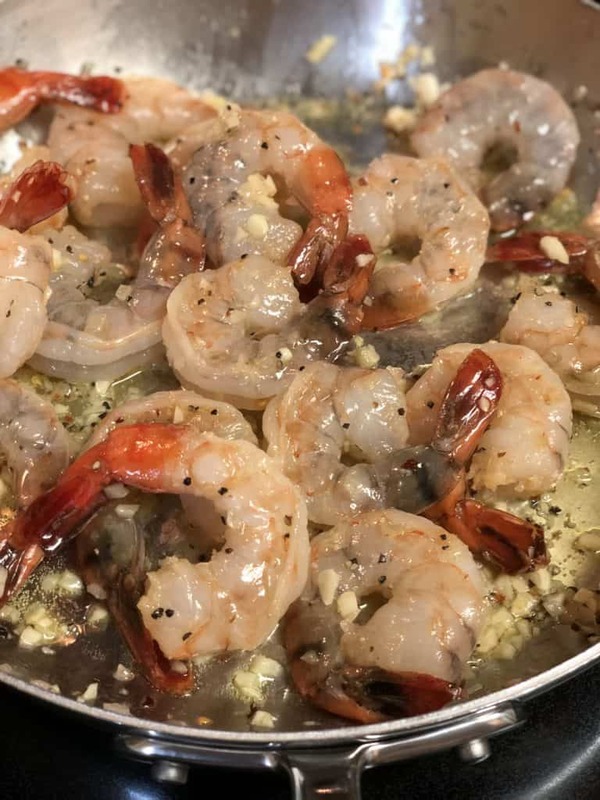 If you are local to Charlotte, head on over to The Carolina Meat & Fish Co. and grab a pound or so of fresh NC peeled and deveined shrimp or have them send to you! 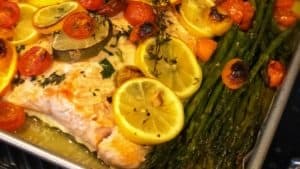 You can also add this recipe to your Christmas Eve, Feast of the Seven Fishes. You want to try to prepare your pasta and sauce so that they are finished at the same time. Start boiling a pot of water…do NOT forget to salt your water! 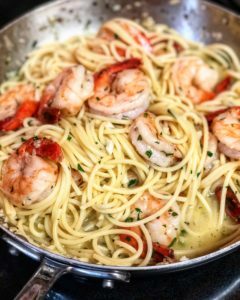 Drop your pasta in the boiling water. Heat a skillet to medium. Add the butter, olive oil, garlic, shallots and a few dashes of red pepper flakes. 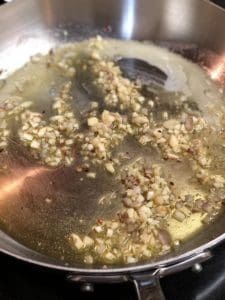 You are just looking to soften the garlic and shallots…about three to four minutes…do NOT brown. Season your shrimp with salt/pepper. 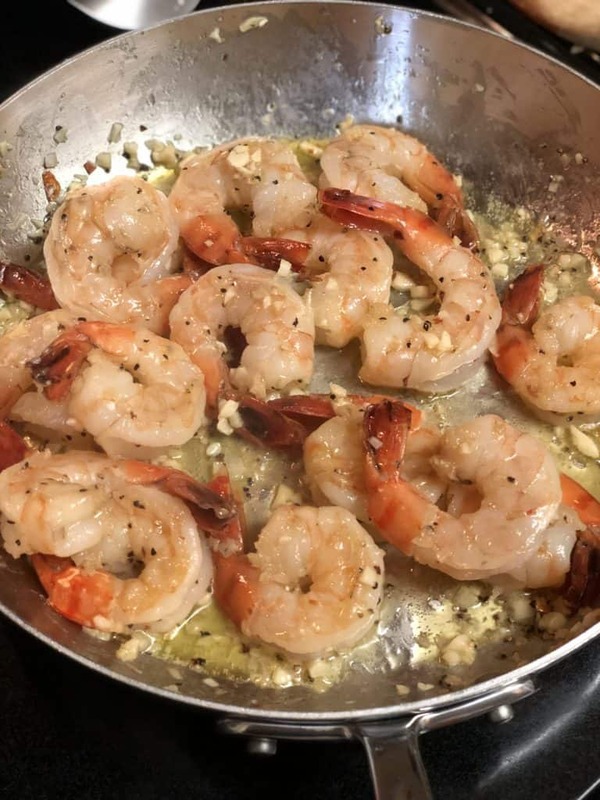 Add shrimp to the pan. 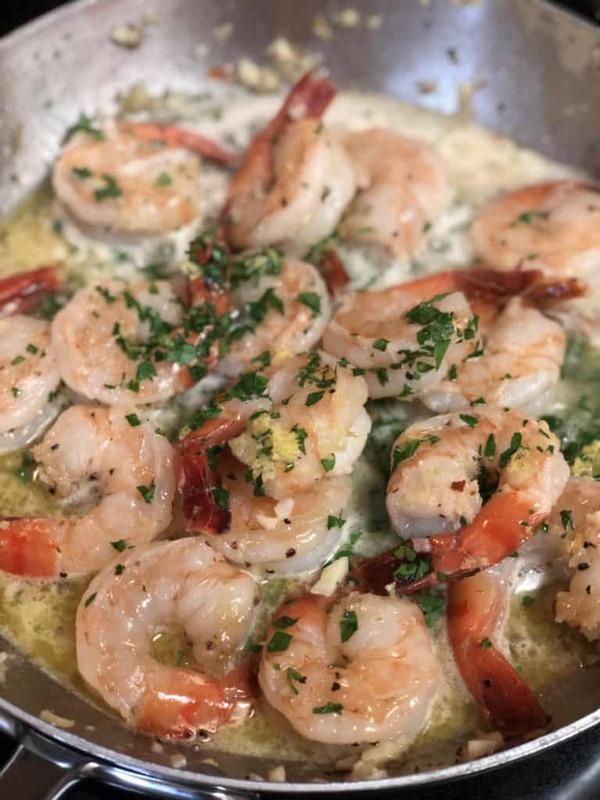 Allow shrimp to cook through…just a few minutes a side. You will see the shrimp turn pink. Add the white wine and lemon juice. 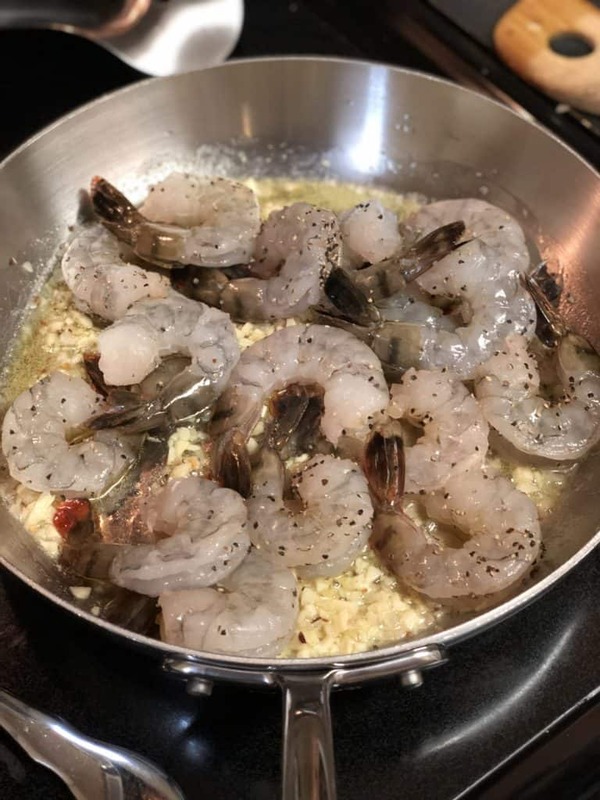 Stir to coat the shrimp. Zest in the lemon and sprinkle with fresh parsley. Transfer the finished pasta directly from the pot to the pan with tongs or a pasta spoon. The liquid from the pasta will thicken the sauce. Stir to coat the pasta with the sauce. 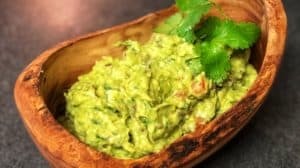 Transfer to a bowl and top with additional fresh parsley and lemon zest. Enjoy!